Simply send your question with the emoji five face combination to your customers, clients, employees or key stakeholders to ask how they felt about a recent experience or issue. You can send on-the-fly individually as interactions occur without creating campaigns. Or integrate with your applications to control who, what and when requests are sent. People love emojis - simple fast selection will send back the emoji face and score in real-time. 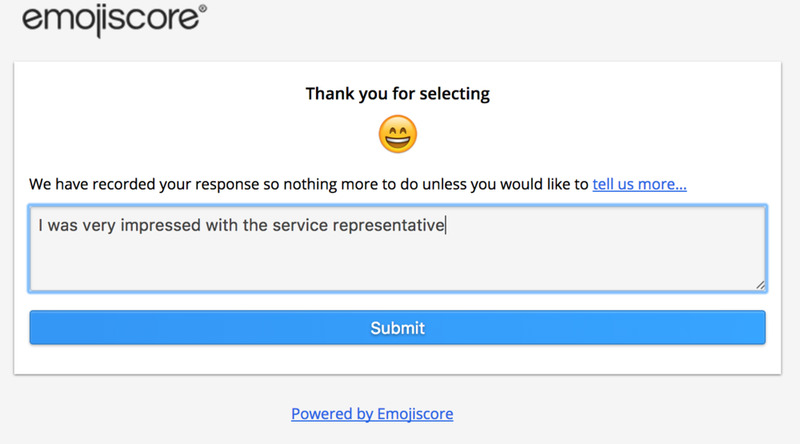 Emojiscore is an emotive version of the popular Net Promoter Score (NPS) where the net score is calculated by deducting the unhappy from the happy emojis. Your Net Emojiscores (NES) are aggregated in real-time against your defined topic and question set to provide a quantitative metric and trend analysis. 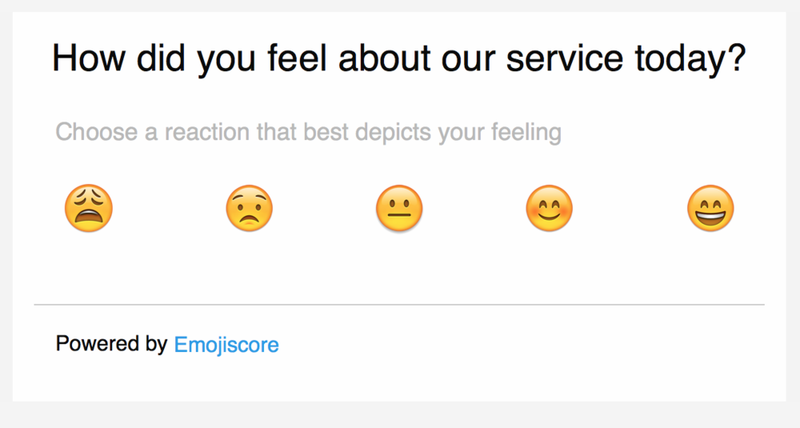 Emojiscore caters for the fastest feedback scoring method - single reaction tap. And for those who feel compelled to provide brief or detailed feedback then the interaction is designed to capture commentary linked to the score provided.